The Metabolic Research Institute Medical Staff includes certified clinical research coordinators and associates include nurses, registered dieticians and certified diabetic educators. Dr. Kaye received his medical degree from Brown University where he was elected to the Sigma Xi Scientific Honor Society. Following his internal medicine training at Brown and its affiliated hospitals, Dr. Kaye completed a fellowship at Cornell University Medical Center at New York Hospital and the Sloan Kettering Cancer Center. He subsequently joined the faculty of the Harvard University Medical School where he served as a consultant to the prestigious Joslin Diabetes Center and the New England Deaconess / Beth Israel Hospital in Boston. In 1985 Dr. Kaye founded Palm Beach Diabetes and Endocrine Specialists, PA. “From the Joslin Clinic, I carried with me the belief that normalizing blood sugars can prevent many of the dreadful complications of Diabetes. Diabetic education is the first step in this process. It empowers our patients to help manage their own diabetes,” Dr. Kaye related. 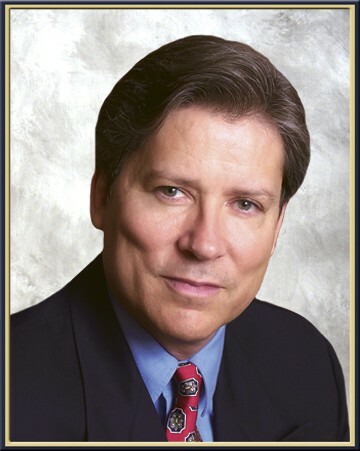 The past president of the Palm Beach County American Diabetes Association, Dr. Kaye also served as Chief of Endocrinology at both Good Samaritan and St. Mary’s Hospitals. A current member of the Endocrine Society and a Fellow of the American College of Physicians, Dr. Kaye has been named to the list of Top Physicians of America, as chosen by his own peers. Over the past several years Dr. Kaye has presented lectures on various endocrine diseases at local and national levels. His articles on diabetes, hypertension, kidney disease and cholesterol disorders have been widely published in the well respected New England Journal and the Archives of Internal Medicine. As a contributing author to the popular magazine, Diabetes Forecast, and the co-director of the Metabolic Research Institute, Inc., he continues to be actively involved in medical research issues. In addition to diabetes, Dr. Kaye maintains a strong interest in osteoporosis, cholesterol metabolism and obesity, as well as disorders of the thyroid gland. 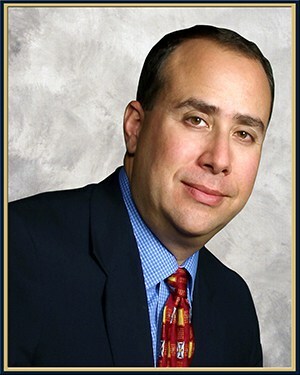 Barry S. Horowitz, M.D., F.A.C.P. Dr. Horowitz completed both his internal medicine residency and fellowship in endocrinology and metabolism at Columbia Presbyterian Medical Center in New York. During his fellowship, Dr. Horowitz conducted research in several areas of endocrinology, including cholesterol metabolism, osteoporosis and diabetes. He has written several articles that have been published in medical journals and has co-authored a chapter on diabetes and cholesterol in a major medical textbook. He continues to participate in research studies and is co-director of The Metabolic Research Institute in West Palm Beach. Dr. Horowitz is a member of the American Medical Association, the American College of Physicians, the American Diabetes Association, the American Heart Association and the National Osteoporosis Foundation. He is also a founding member of the Florida Lipid Associates. The current past President of the Florida Affiliate of the American Heart Association, Dr. Horowitz continues to lecture both locally and nationally on a variety of endocrine related topics. Adriana’s expertise and knowledge of the Clinical Research process is just one of the things that make her so special to our organization. 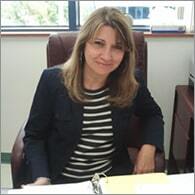 She has been with Metabolic Research Institute since 2006, and working in the Research Industry for over 20 years. She currently serves as our Chief Financial Officer and Human Resources Manager, but has also worked in various other aspects of the business. Adriana has served as an IRB Administrator and Member in the past and always puts the patient’s best interests first in any task she undertakes. Jeanette has been a loyal member of Metabolic Research Institute since 2006. She has a Bachelor of Science and has been conducting Phase I-IV Clinical Trials since 2001. 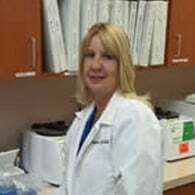 She is a CCRC, an ARCP member and a Certified Phlebotomist. Besides her proficiency in Endocrinology and Metabolic Disorder Trials, she also has previous experience in CNS trials; Alzheimer’s, Neuropathy, MCI and several other disciplines of Clinical Research. Amy has been an amazing asset to our team since September, 2008. 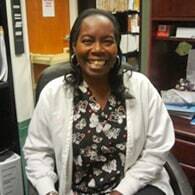 She received her BSN from the University of North Carolina, Chapel Hill in 1986 and has over 20 years of experience in the Pharmaceutical Industry in Business Development, Community Outreach, Recruitment and Clinical Trial Management. She has worked successfully and diligently with numerous Pharmaceutical Companies and strives to consistently meet and exceed their needs. Sponsors interested in placing studies with MRI can email at aclarke@metabolic-institute.com. Brittany is a certified medical assistant who has over 7 years of experience working medical and clinical research as well as in a laboratory setting. Her vast clinical experience is in immunology, thyroid disease, weight loss and diabetes. In addition, she is a great recruiter! Another invaluable addition to our team. 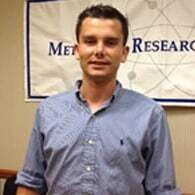 Sean joined MRI in June of 2015. He has a Bachelor’s Degree in Health Science and 2 years Clinical Trial experience. His Clinical experience is vast, ranging from Osteoarthritis, Dermatology, Testosterone studies, Hemorrhoid studies, weight loss, migraine studies , Hypertension, and many more. His vast experience will be an asset to the team. 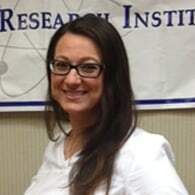 Please welcome the newest member of our clinical research team, Jennifer Rivera. 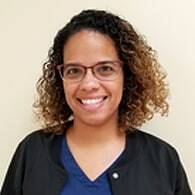 Jennifer is a registered Medical Assistant, who brings to MRI several years of clinical research experience as a Coordinator working a wide variety of clinical trials including Diabetes, Hepatitis, Cirrhosis and Eczema. Her previous professional experience includes work as a laboratory technician. Jennifer is current attending nursing school, and hopes to expand her knowledge in the research field through this education. Shelly has been with Metabolic Research Institute since 2007 and has over 15 years of experience in several aspects of conducting Phase I-IV of Clinical Trials, including Recruitment, Community Outreach Regulatory and Administrative Responsibilities. Shelly‘s knowledge is an integral part of our organization and she is a key resource for many of our team members. Iliana has been a member of the Metabolic Research Institute Team since early 2012. She has an extensive background in Administrative and Office Management and is our primary Data Manager. She is well versed in numerous electronic data formats including, but not limited to, Inform, Medidata, and Rave, and is the key employee for query resolution and submitting all data according to protocol guidelines. Iliana not only meets but surpasses sponsor timeline requirements and maintains efficient communication between our site and the sponsor/CRO. Ileana recently joined Metabolic as a certified phlebotomist. She has a Degree in Sonography and over 10 years medical field experience. She is IATA certified and has worked in hospital, laboratory and medical office settings. 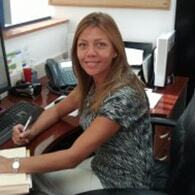 We are pleased to have Ileana join the Metabolic team.